Books - Valuentum Securities Inc. There are many books on business and investing published each year. Make sure to check out Valuentum's discussion forum to make your recommendations on the best new business books. Thank you for visiting! It's Here! Click Image Below to Order Digital Copy! By Michael J. Mauboussin. Harvard Business Review Press, 2012. 293 p. ISBN 978-1-4221-8423-3. Mauboussin (Managing Director and Head of Global Financial Strategies at Credit Suisse; formerly Chief Investment Strategist at Legg Mason Capital Management) tackles the thorny problem of untangling skill from luck. His goal is to help the reader determine the difference between the two and also look at the relative importance of each. Mauboussin uses examples from sports to make the concepts more understandable, and then places them in the context of investing. He posits that once the luck-skill continuum is understood, better decisions are bound to follow. The combination of math, science, psychology, and humor makes this an enjoyable read. 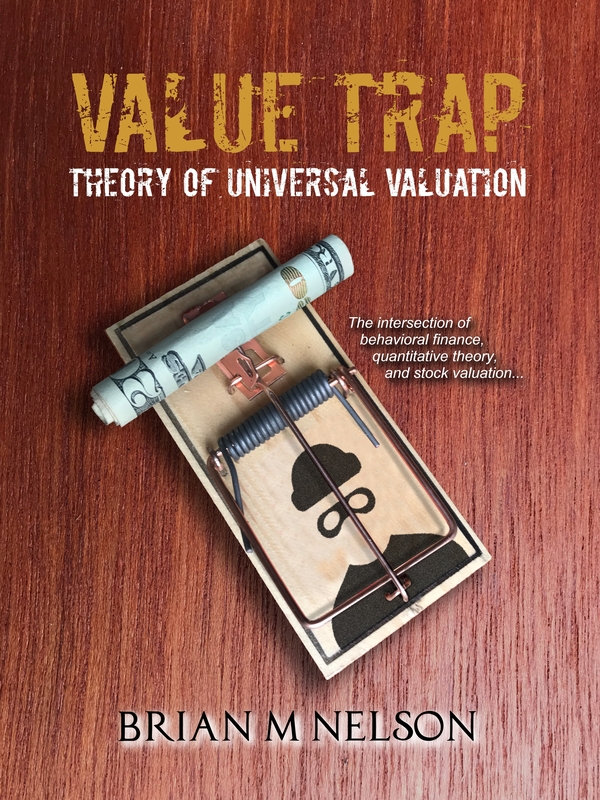 Valuentum’s Take: While this is a very entertaining look at luck and skill, it is more in the style of Freakonomics and Outliers than a pure investment book. Those looking for more insight from Mauboussin may prefer his guide to investing, More Than You Know: Finding Financial Wisdom in Unconventional Places. I nvesting: The Last Liberal Art, 2nd ed. By Robert G. Hagstrom. Columbia Business School Publishing, 2013. 208 p. ISBN 978-0-231-16010-0. Robert Hagstrom (Senior Vice President and Portfolio Manager of Legg Mason Capital Management and best-selling author), revises and expands his thoughts on using a variety of disciplines to better understand investing. Expanding on the work of Charlie Munger and his thoughts on the “latticework of mental models,” Hagstrom examines a variety of diverse fields, from physics and biology to philosophy and literature, to pull out key takeaways that can be used to better understand the markets. The current model of financial education is to focus on finance, accounting, and economics to develop a deep, specialized understanding. But, building on the premise that finance is not an exact science, Hagstrom recommends taking a step back and looking at a broader range of disciplines to discover the basic truths that can be applied back to investing. Valuentum’s Take: Investing won’t teach you how to invest or recommend any particular investment style. What it will do is make you think about the market as a system, because as Hagstrom says, “that’s the power of a latticework of mental models…it leads to understanding the full range of market forces – new businesses and trends, emerging markets, the flow of money, international shifts, the economy in general, and the actions of people in markets.” The core principles Hagstrom presents are not new ideas—the idea of equilibrium from physics, evolution and change from biology, and complexity theory from sociology—but his goal is to encourage the reader to think more broadly about investing and consider all the different influences on how people and markets act and react. Not only perfect for those looking to find a new way of “putting the pieces together” when making investment decisions, but also for Valuentum investors that approach the market from a variety of different disciplines in order to uncover the best investment ideas. By Simon Johnson and James Kwak. Pantheon Books, 2012. 368 p. ISBN 978-0-307-90696-0. Valuentum’s Take: White House Burning provides a crash course in understanding the debt of the United States and how it evolved over time, complete with definitions and explanations of the key concepts discussed. A plethora of charts and graphs visually demonstrate the points the authors make. While the authors’ politics shine through in many parts of their analysis, the history of the debt and the impact of wars, taxes, and interest provide a background for understanding the current state of the national debt. By John C. Maxwell. Center Street, 2011. 304 p. ISBN 978-1-5999-5365-6. Maxwell (leadership expert and New York Times bestselling author) further explores his leadership principles in this latest book. Maxwell’s belief is that leadership is about influence, and that “if people can increase their influence with others, they can lead more effectively.” Taking this into consideration, Maxwell has delineated between five separate levels of leadership: position, permission, production, people development, and the pinnacle. Each level requires adaptation and development to build on the previous levels. While a leadership position is all that is required for the first level, the remaining four levels require building trust with those you want to follow you, generating results, and finally, developing other leaders. Each section of the book is devoted to one of the levels and discusses the upside, downside, and the laws of leadership that best apply to each level (from The 21 Irrefutable Laws of Leadership). Valuentum’s Take: Maxwell strives to provide a practical guide to leadership rather than a theoretical view and presents the principles he has found to be effective in organizations of all sizes. To this end, the book begins with a four part leadership assessment for readers to determine which level of leadership they have currently achieved. While this is written as a stand-alone volume, the frequent references to Maxwell’s other books would make a familiarity with them valuable. By Christopher J. Frank and Paul Magnone. Portfolio, 2011. 256 p. ISBN 978-1-5918-4426-6. Valuentum’s Take: The introduction presents the seven questions that are the focus of the remainder of the book. Each chapter tackles one of the questions, how to apply it, and provides practical application through case studies and exercises. The introduction does an adequate job of explaining the questions and the importance of sorting out the data that just measures from data and information that leads to real insights and enables decision making. The subsequent chapters get a little repetitive as the authors repeat what has already been covered, but the case studies of well-known companies like IBM, Microsoft, Starbucks, and Zappo’s will add value for readers. By Mark Sanborn. Tyndale House Publishers, 2011. 170 p. ISBN 978-1-4143-6221-2. Sanborn (president of Sanborn & Associates, leadership speaker, and best-selling author of The Fred Factor) shares his take on how to succeed no matter what circumstances you find yourself in. Sanborn starts the book by sharing his own story of how he experienced a downturn in business, investments, and health at the same time. The outcome of that experience is this book, which is a collection of principles around the things that we “should” do. While there are many barriers to success, Sanborn posits that if you follow these practices - which include defining success for yourself, having an optimistic outlook, and creating value - that puts you in a position to be successful. By Ellen Schultz. Portfolio Hardcover, 2011. 256 p. ISBN 978-1-5918-4333-7. Valuentum’s Take: Schultz has an engaging style that makes this a fast read. A plethora of examples from well-known organizations, from the NFL to airlines, automakers, and banks, show how widespread the problem is. While this is a fascinating exploration of what happens when companies, that in the past had ample resources, create and exploit loopholes in order to “raid the piggybank,” it will provide little consolation to those workers who have found themselves on the other side of this equation. By Pat Huddleston. AMACOM, 2011. 256 p. ISBN 978-0-8144-1750-8. With the misdeeds of Bernie Madoff still fresh in our minds, this humorous yet insightful look at how to protect yourself from scams and con men is sure to be a hit. Divided into two parts, part 1 covers all aspects of investment fraud, while part 2 focuses specifically on the US securities industry. Huddleston (CEO of Investor’s Watchdog and former SEC Enforcer) provides examples of fraud followed by “Due Diligence for the Vigilant” at the end of each chapter, which is where he shares tips and strategies including doing your homework before investing, checking the credentials of your advisor, and really understanding how money is made in the investment instead of being blinded by fancy financial jargon. As Huddleston says, “if your investment advisor spends money like a trust fund baby on a weekend shopping bender, he is spending your money, not his own” and that is reason enough to be vigilant. 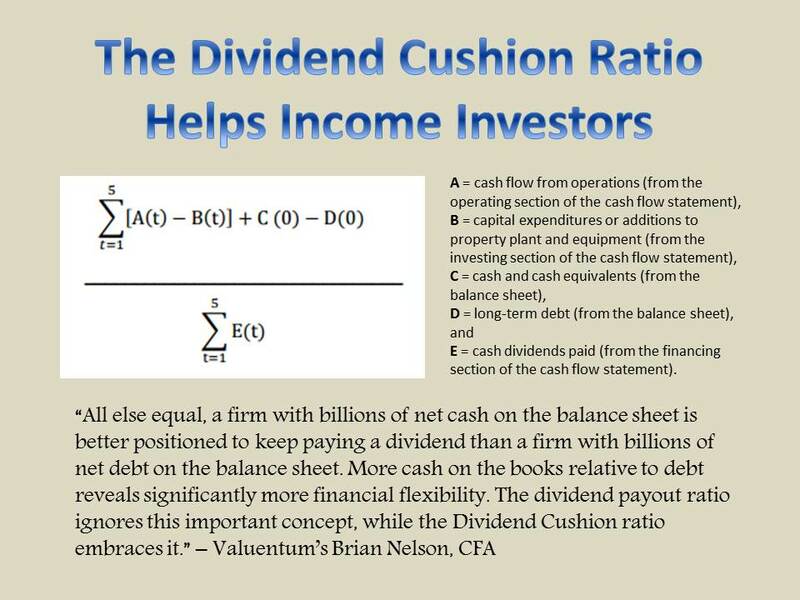 Valuentum’s Take: This book should be required reading for investors. According to Huddleston, “the FBI estimates that Americans lose $40 billion annually to investment fraud.” The SEC does not have the manpower to catch all of these criminals, nor does it have the authority to punish them. The investor has to find a way to look beyond the easy answers and do their own due diligence – which can save them and countless others from losing their savings. By Twila Slesnick and John Suttle. NOLO, 2011. 390 p. ISBN 978-1-4133-1393-2. In the 10th edition of this NOLO guide, Slesnick (an Enrolled Agent who specializes in tax and investment planning) and Suttle (attorney and CPA) attempt to break down this complicated process into understandable pieces, complete with the legal and tax implications. Each chapter begins with an explanation of who should read the chapter and who would be better served by skipping ahead. The written descriptions and examples in each section are accompanied by sidebars that highlight important terminology or key tax codes referred to in the chapter. Also interspersed in the chapters are sample tax forms related to specific examples that illustrate how different situations should be handled at tax time to avoid penalties. Appendices include IRS forms, notices, and schedules, as well as life expectancy tables that will be an indispensible resource for those using the book to make decisions about retirement planning and distributions. Valuentum’s Take: This book is for you if you’re ready to take money out of your retirement accounts. It is a no-nonsense guide to demystifying retirement plans, how and when to take distributions from your accounts – not too early and not too late – and what the tax implications of those distributions are. By Rhymer Rigby. Kogan Page, 2011. 232 p. ISBN 978-0-7494-6239-0. British journalist Rhymer Rigby tackles the lives of the most influential business thinkers in his latest work. Rigby (freelance journalist and contributor for the Financial Times) takes a journalistic approach, reporting on the lives and businesses of these 28 gurus without offering additional analysis. Each of the 28 chapters is devoted to a different business thinker, ranging from the more traditional, including Peter Drucker and Jack Welch, to the more modern and technologically focused, such as Mark Zuckerberg and the Google duo of Larry Page and Sergey Brin. Rigby claims there are no particular attributes that will determine success, as demonstrated by the wide range of business people profiled, and says that the “secret of someone’s success is that there is no secret.” Therefore he focuses these short chapters, less than ten pages each, on the background of these business thinkers and attempts to show what these people have done differently that enabled them to succeed. (Image Source: Amazon). Valuentum’s Take: This promising title falls short in its execution. The final result is a compilation of short bios on the background and careers of some of the biggest influences on today’s business world. Rigby, while he does write a business column, also does freelance writing on travel and lifestyle, so he isn’t an expert on business per se. Where he does succeed, however, is in his balanced coverage and the fact that he doesn’t gloss over the negative qualities of these people while extolling their virtues. By David Graeber. Melville House Publishing, 2011. 544 p. $32.00, ISBN 978-1-933633-86-2. Valuation, 5th Edition, McKinsey & Co.
Also, be sure to visit Valuentum's forum, where you can read about other books Valuentum subscribers recommend and why.